Requested a Tree root assessment as a nearby playground was effected by tree root disturbance. Requested a site survey investigation of a 150mm size PVC watermain, as the service was a concern for up coming works on the site. 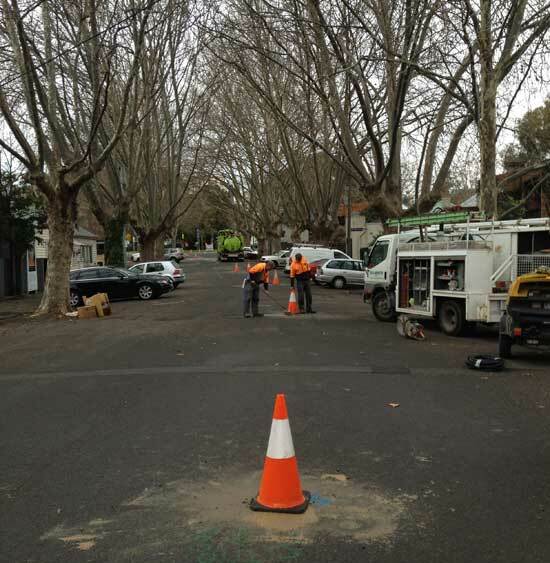 As an active Land Surveying company to both Government Authorities and the private sector throughout Victoria we have a growing need to not only document above ground features and levels but also below ground services and infrastructure. We have been working closely with Geoscan for a number of years now, they provide us with a clear and concise electronic underground service detection service in a timely manner. It is not only their professional approach that we find extremely valuable but their friendly and flexible manner that has developed and strengthened our working relationship.